Foods From Chile Goodie Bag + Wines to taste too! 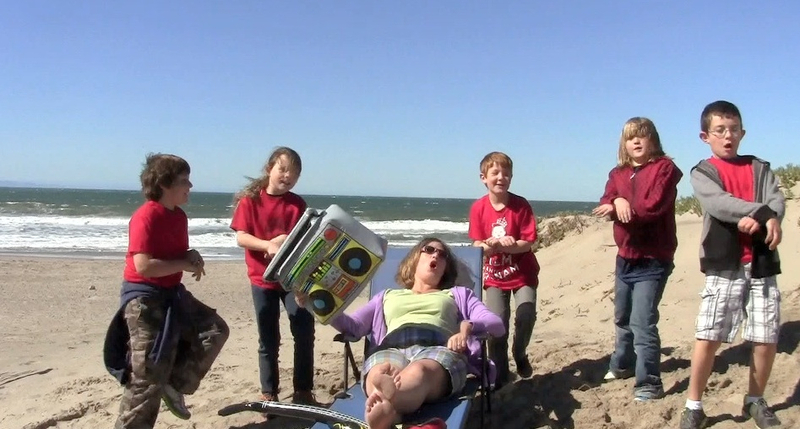 While I am not packing my bags and brushing up my Spanish for my trip to Chile (at least not this time! 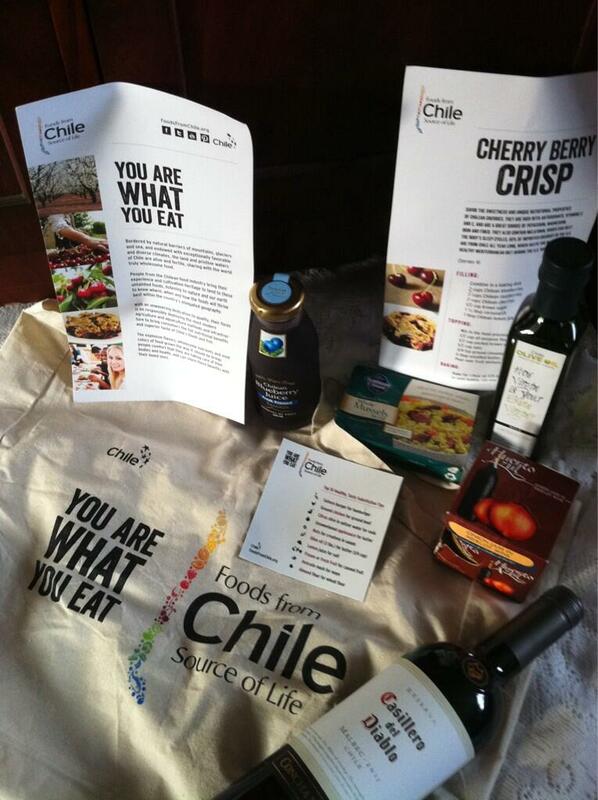 ), I was excited to open my box of goodies from the Foods from Chile folks. Enclosed, packed in a Foods From Chile muslin bag, I found these products made from Chilean foods: a bottle of 100% pure blueberry juice, a jar of onion jam in merlot wine, a bottle of extra virgin olive oil, and a can of mussels in oil. That same day I also received three bottles of Malbec for Malbec Madness April 17–two from Argentina, and this 2011 Casillero del Diablo from Concha y Toro in Chile! In addition, I’m looking forward to tasting two more wines from Chile that are on their way: new releases from Viña Ventisquero, a leading producer of estate and single vineyard wines–Queulat Sauvignon Blanc and Queulat Pinot Noir. So if you, like me, can’t go to Chile, we can at least enjoy Foods (and wines!) from Chile like these! Chile Style! Hey Gwendolyn Alley! “Congratulations! You’re a Finalist!” said the email. All I have to do now is convince YOU to choose me, Gwendolyn Alley, the Wine Predator, as the one lucky writer to go on a Guided Culinary Tour of Chile! Please choose me as the winning blogger who takes tours and participates in tastings at vineyards, olive groves, and fruit plantations. Who better than a wine blogger to wax eloquently about wine and food? Please choose me to meet with local Chilean exporters and producers, and to eat specially prepared meals at the restaurants of local Chilean chefs. I love all kinds of seafood and shellfish, I love game, beef, fowl, pork, vegetables and fruits! My Wine Predator and Art Predator blogs and my twitter and facebook feeds are full of photos of fine food and wine that I share with my followers and friends. top food markets, to see cultural heritage sites in Santiago, and to attend the Nam Santiago Food Festival where I will taste of the culinary innovations of Chile. So that’s the script I chose to produce for the video above instead of this one with seven reasons why Foods from Chile should choose me. And sometime in the next 24 hours I will find out whether my video submission and this blog post convinced the powers that be to send me to Chile as the one lucky writer who will go on a Guided Culinary Tour of Chile with members of top media publications from April 7th to April 13th 2013 –flight, transportation, and accommodations all included! Yes, as you can imagine every few minutes I am obsessively checking my email just in case they decide to pick me and let me know early! 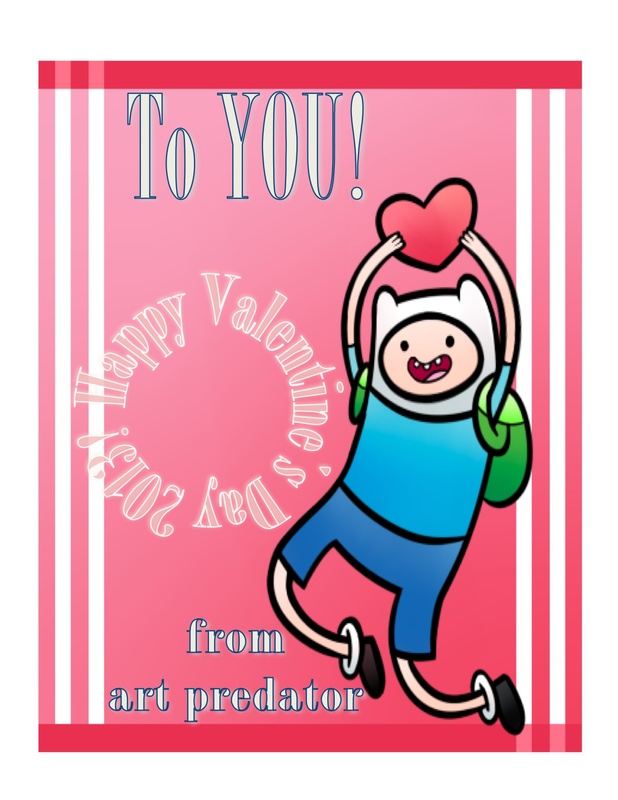 Happy Valentine’s Adventures from Wine Predator! Happy Valentine’s Day! As Art Predator and Wine Predator, I’m on the prowl for good wine and good adventures! 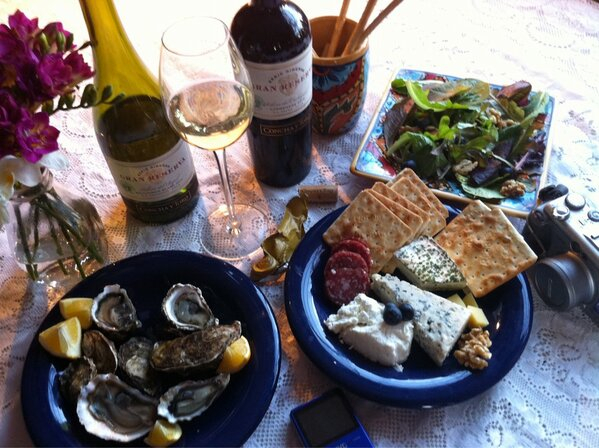 May your Valentine’s Day be full of joyous adventures with fine wine, good times, and good friends! Have an adventurous Valentine’s Day! Cheers! Remember to celebrate Valentine’s Day every day with romance, adventure, and fun! That might mean sparkling wine and fancy dinners or something as simple as a heart shaped bagel and a foot rub! How do you like to celebrate Valentine’s Day? Will you be opening any special wine? We began our celebration last Sunday with steak and lobster paired with Chalk Hill Chardonnay and Cantara Cellars Franknvine, and we’ll keep celebrating over the ling weekend with wine from Steven Kent (leftovers from tomorrow’s tasting!) and Chile too! No matter how you celebrate Valentine’s Day this year–with red, white, rose, or bubbles!– a toast to YOU, my readers and subscribers! Cheers! Oh and can you help ME go on an adventure? Just vote here for me to go to Chile where I will blog my heart out for you about the food, the wine, and the adventure! PS I found the Adventure Time artwork here. My son and I added the text for his valentine’s day cards then I changed it to be from me! When I was a poor college student (except for the year I worked at Ridge! ), and then a student loan paying underemployed thirty-something artist/poet/writer, my go to wines were from Chile. My friends and I knew that with Chilean wines, we could get the best bang for our buck!